We will save your time! My name is Scot Stover, and I have been serving the Central Florida area since 1981. I have experience servicing all types of clocks, from antique mantel clocks to modern grandfather clocks. I handle both private repairs, and corporate repairs such as the German pavillion at Epcot. 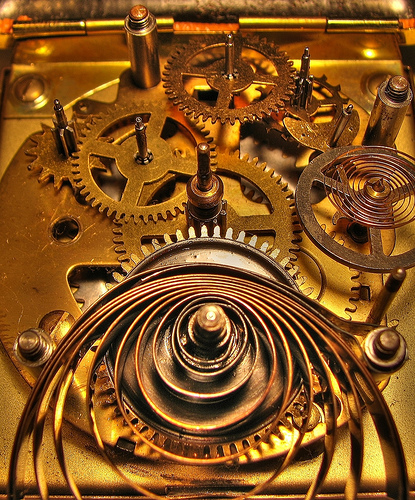 The heartbeat of a home, clocks are one of the true mechanical items left in today's busy life. They need to be serviced every two to three years. SOS Clock Repair comes to you. Contact us today to discuss your clock repair needs. No clock is too big or too small. As a clock collector, I know what an important part of the family they are, often passed down from generation to generation. Give your clock the care it deserves. Copyright 2010 SOS Clock Repair. All rights reserved.